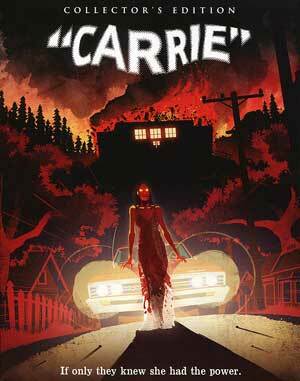 Plot Synopsis: At the center of the terror is Carrie White (SISSY SPACEK), a high school loner with no confidence, no friends… and no idea about the extent of her powers of telekinesis. But when her psychotic mother (PIPER LAURIE) and sadistic classmates — Chris (NANCY ALLEN), Billy (JOHN TRAVOLTA), Norma (P.J. SOLES) and Tommy (WILLIAM KATT) — finally go too far, the once-shy teen becomes an unrestrained, vengeance-seeking powerhouse who, with the help of her “special gift,” causes all hell to break loose. 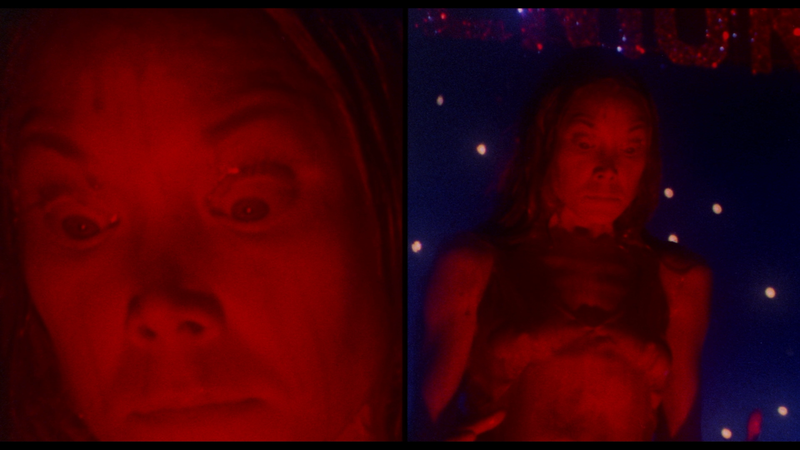 Carrie is a fantastic De Palma horror-thriller that might be known of the climactic finale filled with pig blood and mass murder vis-à-vis fire, the performances is what really propels and helps it stand the test of time, headlined by both Sissy Spacek, and her creepy bug eyes she utilizes in the finale, and Piper Laurie as Carrie’s ultra-religious mother; both Spacek and Laurie received Academy Award nominations for Actress and Supporting Actress respectively, though Spacek is more well rounded — not to mention emotional having sympathy in the climax — but lost out to the deserving Faye Dunaway in Network. And Nancy Allen was noteworthy as the primary wicked adversary to Carrie while John Travolta made only his second big screen appearance and just a year before he really hit it big in Saturday Night Fever. Brian De Palma was perhaps the second best filmmaker of the ‘70s and ‘80s, Francis Ford Copolla was easily the best, with some great, if not out-there thrillers, like Phantom of the Paradise, Dressed to Kill, Blow Out (a personal favorite of mine), Scarface, Body Double and The Untouchables and then there’s 1976’s Carrie, one of the more unusual horror films from the era and one that sets it apart from others in the genre. It’s a well made thriller that still resonates today (perhaps more so). This 2-disc release comes with a matted slip cover with new artwork while the inner cover is reversible revealing the original poster art. All of the features from the original MGM DVD were ported over. Interviews – Within this sub-menu, we get a variety of interviews including Lawrence Cohen in Writing Carrie (29:07; HD) discussing adapting Stephen King’s novel; Shooting Carrie (15:22; HD) is an interview with director of photographer Mario Tosi; Editor Paul Hirsch talks about his work on the film in Cutting Carrie (25:09; HD); Casting Director Harriet B. Helberg chats about getting the right actors in Casting Carrie (16:03; HD); in Acting Carrie (42:42; HD) we get some older interview footage with Brian De Palma, Sissy Spacek, William Katt, Amy Irving and Nancy Allen amongst others; More Acting Carrie (20:19; HD) is a set of new interviews with Nancy Allen, William Katt, P.J. Soles, Piper Laurie and others; Visualizing Carrie (41:33; HD) is more old interview footage offers the groundwork on the project; last up of these is Bucket of Blood (23:53; HD) is an interview with composer Pino Donaggio. Horror’s Hallowed Grounds (11:25; HD) finds host/creator Sean Clark visiting locations where Carrie was filmed. As I’ve said before, HHG is one of the favorite features on these releases. Be nice if Shout could release them in volume sets as they have plenty of replay value (for me at least). Carrie: The Musical (6:23; HD) is a featurette on the idea of making Carrie into a musical and features interviews with one of the stage actors and screenwriter Lawrence D. Cohen. 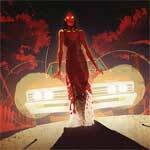 Under More Carrie are some TV Spots (3:11; HD), Radio Spots (1:29; HD), Still Galleries and a Text Gallery with Stephen King on the evolution of Carrie. Shout Factory, via their Scream line, releases Carrie onto Blu-ray presented with a 1080p high-definition transfer (MPEG-4 AVC codec) and shown in its original 1.85 widescreen aspect ratio. Given the film is now going on 40 years (next year), it’s not at all a bad looking transfer, culled from a new 4K scan of the original negative; colors appear to be well balanced and detail relatively sharp and well defined throughout. I did try to pay attention but noticed no major instances of artifacts, dirt marks, scratches or other flaws. The disc comes with the choice of the DTS-HD MA 5.1 and 2.0 tracks and either option would work. The bulk of the audio does mainly come from the center channel with light usage of the rear speakers, though the score by Italian composer Pino Donaggio, who would work with De Palma on Dressed to Kill, Blow Out, Body Double and Passion. It’s a nice lossless track that isn’t depth-filled yet more than satisfying. Overall, this “Collector’s Edition” of Carrie from Shout Factory is pretty darn good for a pretty darn good movie by suspense-maestro, Brian De Palma and features amazing performances by Sissy Spacek and Piper Laurie. This 2-disc set offers up quality video/audio transfers and a fine collection of bonus material, though it would’ve been nice to have a new commentary since the 2002 TV movie and sequel had ones. Still, it’s well worth the price.